Sutton System Sales, Inc. is proud to put its name on our own line of industrial-strength cleaners, degreasers, and aluminum-cleaning acids. 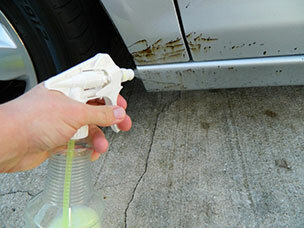 Whether you’re washing your car or tackling a heavy duty job, we have a product in our line to get the job done. If you’re looking for a product not listed, please let us know because we are confident we can get a product capable of handling any job out there. 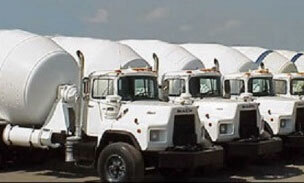 Contact us today and let us take care of your needs. 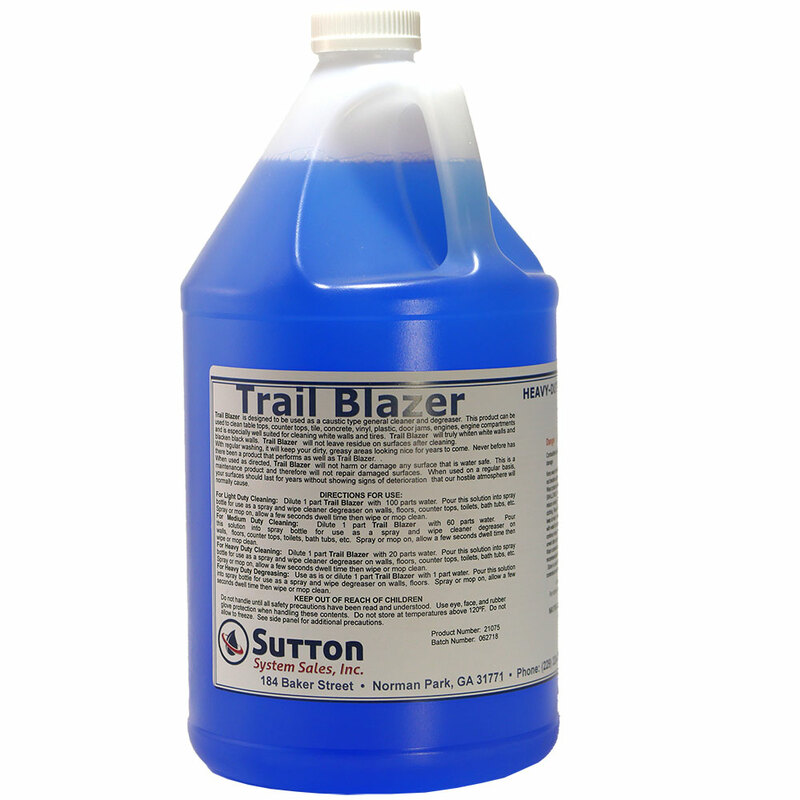 Trail Blazer is designed to be used as a caustic-type general cleaner and degreaser. 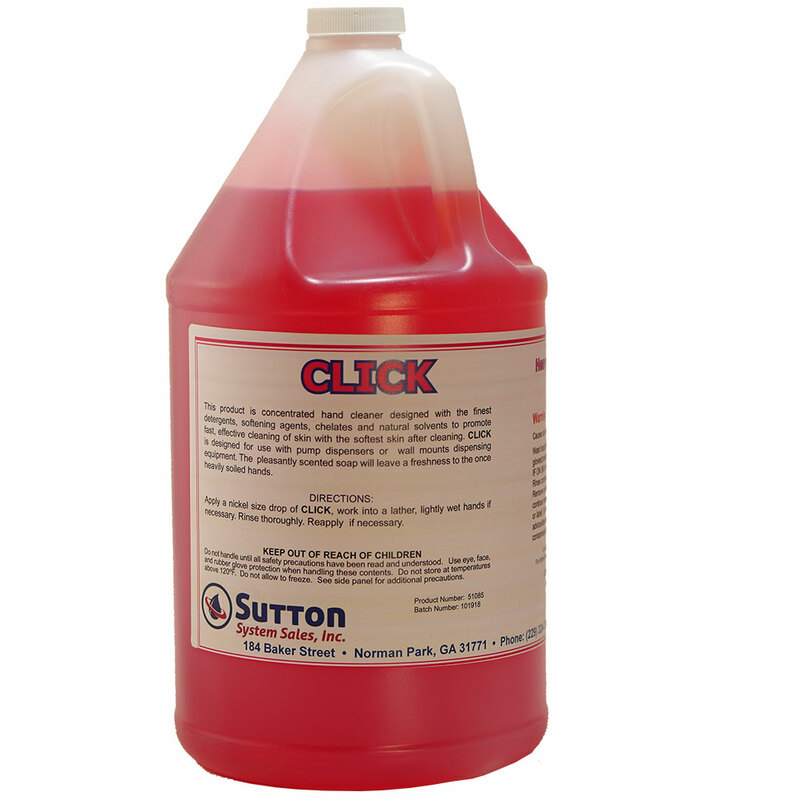 CLICK is concentrated hand cleaner, designed with the finest detergents, softening agents, chelates, and natural solvents to promote fast, effective cleaning of skin, while leaving skin soft. 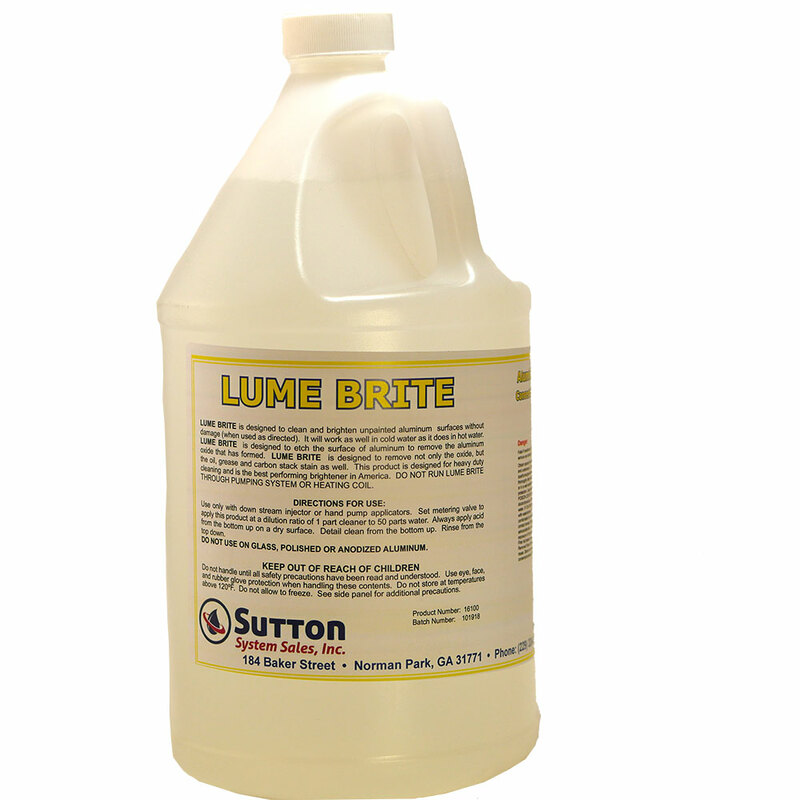 LUME BRITE is a blend of Hydrofluoric Acid and Sulfuric Acid solutions that will leave aluminum with a satin-sheen appearance when used as directed. 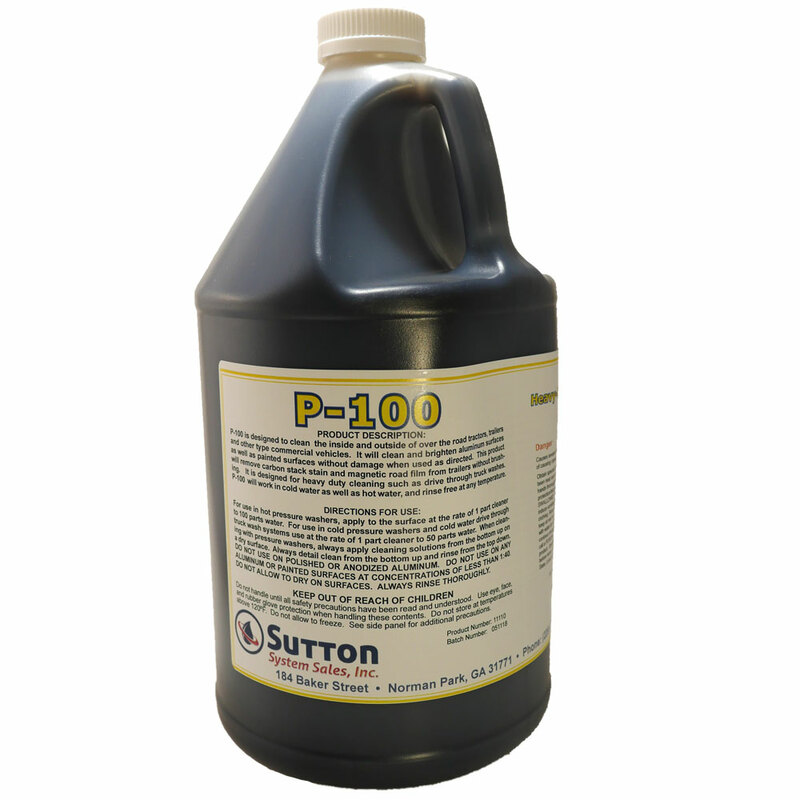 P-100 is one of the most popular truck wash concentrates in the industry. 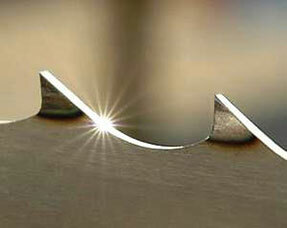 Used as directed, P-100 will clean painted surfaces without damage. 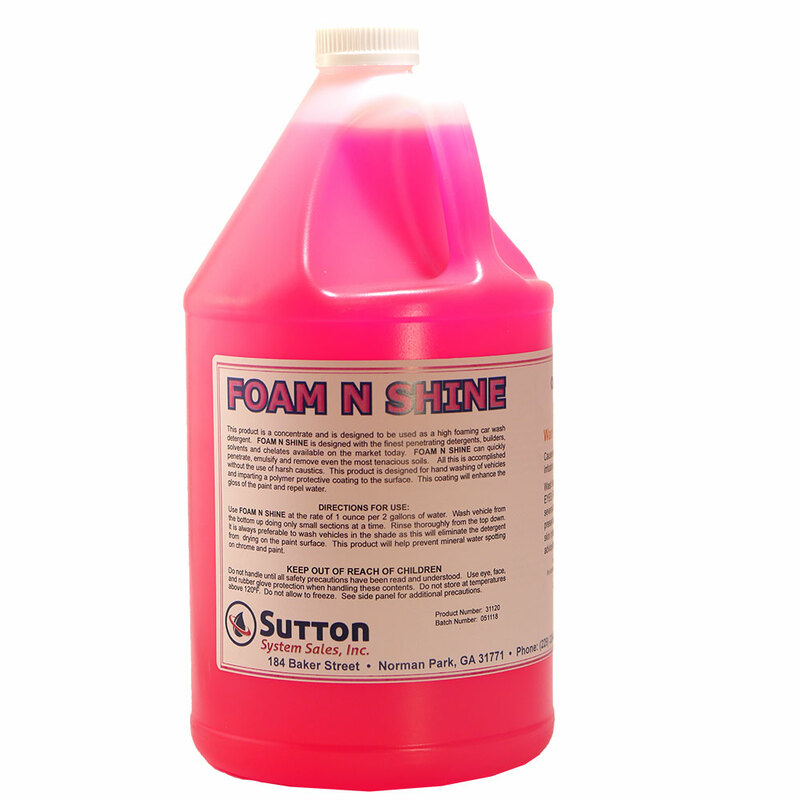 FOAM-N-SHINE is designed with the finest penetrating detergents, builders, solvents, and chelates available on the market today. 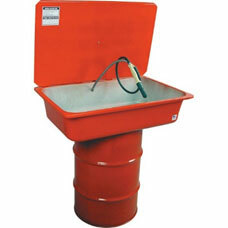 PARTS SOLV DEGREASER is the product of choice in today’s workplace where safe, yet effective, non-water based solvents are required. 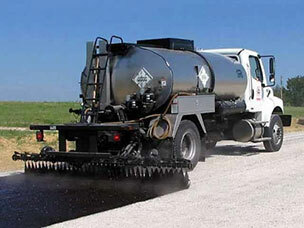 Citrus Tar & Asphalt Remover is made from derivatives of orange peels and has a wide variety of uses ranging from an all-purpose cleaner to a heavy-duty industrial degreaser. EASY Sap & Pitch Remover is a highly-concentrated cleaner designed for quick and effective cleaning of sap and pitch for all the production equipment of the forest industry. SM200 Soy Tar & Asphalt Remover is made from a derivative of natural soybeans and has a wide variety of uses ranging from an all-purpose cleaner to a heavy-duty industrial degreaser. SUPER CRETE-X-W is designed to remove hardened concrete from ready-mix trucks, scaffolding, forms, and other areas where concrete tends to accumulate and harden.